The NSW State Government began issuing licences for the shooting of flying foxes this week, even though its own advisory panel warns that shooting the animals breaches animal cruelty laws. The Government's new shooting protocols, finalised this week, say hunters must find and kill baby bats with a blunt instrument if their mothers are shot to prevent them dying a lingering death. NSW is now the only state to permit bat shooting after Queensland banned it last year. The NSW Farmers Association says fruit growers must protect their crops from foraging bats. A coalition of 60 environment groups is seeking a ban. "The animal welfare issues that result from shooting as a method of mitigating crop damage caused by flying foxes are unacceptable ethically and legally," the Government's advisory panel concluded. 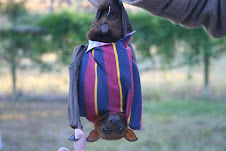 It also found that "shooting is ineffective" when larger numbers of flying foxes visit orchards.